On Monday, the NHL named the league’s 3 Stars for the week ending Nov. 6. 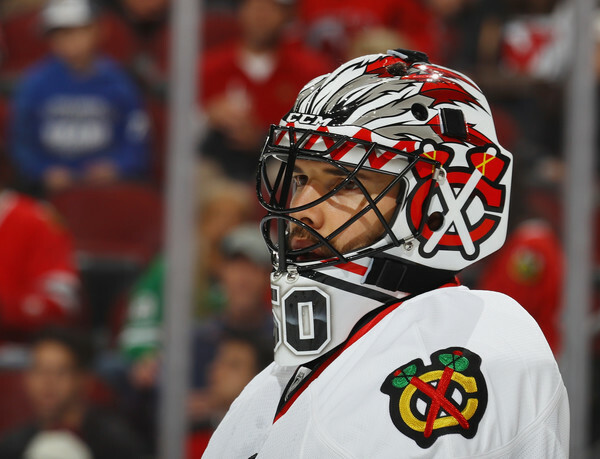 Blackhawks goaltender Corey Crawford was named the #2 Star of the Week. Crawford went 3-0-0 with a 1.00 goals-against average, .971 save percentage and one shutout as the Blackhawks (9-3-1, 19 points) picked up four wins in four games to move into first place in the Central Division. He made 33 saves in a 5-1 victory over the Calgary Flames Nov. 1, earned his 21st career shutout with 38 stops in a 4-0 win over the Colorado Avalanche Nov. 3 and turned aside 31 shots in a 3-2 triumph over the Dallas Stars Nov. 5. The 31-year-old Montreal native owns a 6-3-1 record in 10 outings this season, ranking in the top 10 in the NHL in wins (t-4th), goals-against average (8th; 2.01), save percentage (7th; .936) and shutouts (t-3rd; 2). Tampa Bay forward Nikita Kucherov was named the #1 star, and the #3 star was current Rangers forward and one-time Chicago draft pick Kevin Hayes. Hopefully he stays consistent and injury free. If he does that, I can see him in the running for the Vezina. 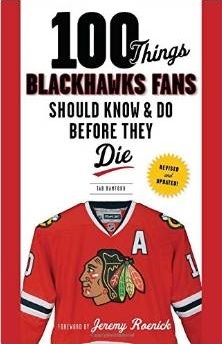 More importantly, I see the Hawks going deep in the post season which is (of course) more important than anything else. Trade the bum and his 6 mil. contract for better players in front of the goalie. (complete sarcasm, so yell at the people that have been preaching such nonsense for years.) I am a firm believer that you are not going to win it all without a net-minder with a distinct skill set, or a guy that plays lights out or out of his abilities for two or three months in a row. I prefer the first, which 50 has proven he is. Go hawks and congratulations to 50 for something his probably due every week. Jax- So when 2010 Hawks/ Niemi won cup… how do you explain that? And- Crow- didn’t make $6M during 1st cup! Could you imagine if SB/Hawks could have actually signed Hayes… Then- Hawks would have landed Vesey… would be one hell of a team… w/o a lot of the cap issues today. just saying– someone is going to be moved to make cap space next year… Assuming 72 gets his $6M +… one of top 3 candidates??? Crow??? and I hope he continues to play great… cuz-nothing wrong with selling High. Cory is a steal @ 6 million a year . The Leafs are paying Anderson 5 million a year ,may have played 100 n.h.l. games ,..,never won a thing . . Holtby 6.1 million a year ,never won a thing . Quick making 5.8 million ,he has a cup . Lundquist 8.5 never won a thing .Bobrovsky,.,.,7.5 million nuff said ,Rask and Rinne 7 million ,.,.SEE where this is going . Go Cory Go ,Go Cory Go ,Go Cory Go . Did Elliot suddenly get bad??? or Perhaps- the team in front of him… ain’t as good??? But,.,But ,.But ,.,.Crow has 2 cups and is a steller goalie ,call a spade a spade Wall .if you wanna argue about the 6 million dollar man ,do it with Lee Majors . You do not let go of a key cog on your team ,as Crow is ,to sign an over rated Russian forward who ,by the way is playing on a line with a cast SOoooooo talented that I would get points on that line . Keep your twisted trade this and trade that for your barroom friends and your wife ,you know, Quiet pillow talk after Hockey Night in Canada . I have not mentioned any “Trade this for that” in quite long time??? So basically- you are saying Crow has more value to Hawks than Panarin? ( fill in the blank) – is to replacing 72 ( Motte? Panik? ??? )… the 72 “replacement” doesn’t exist. Just like the Saad 1LW isn’t there.